Musculoskeletal injuries are ending nursing careers and spiking turnover in hospitals around the country. The cost of that turnover not only threatens employee health and job prospects, it makes the healthcare industry less sustainable. Without serious, evidence-based strategies and a willingness to invest in workplace safety solutions, those numbers will continue to bleed hospitals of their talent and resources. After multiple studies into the problem of musculoskeletal disorders (MSDs) impacting nurses, CNAs, and other hospital staff, we know one thing for certain: MSDs account for around half of all total workplace injuries and illnesses in the healthcare industry. If hospitals want to curb injury-related turnover, then they need to start with MSDs. The biggest problem with MSD-related turnover in healthcare is that it snowballs. Unsafe patient and medical equipment transport practices are more commonly used when a hospital or clinic is understaffed, leading to even more injuries and more missed days of work. If a substantial percentage of musculoskeletal injuries can’t be prevented, then the healthcare industry will continue to be chronically understaffed, leading to lower standards in patient care, higher operating costs, and fewer incentives for experienced nurses to stay in the field and risk debilitating injury. 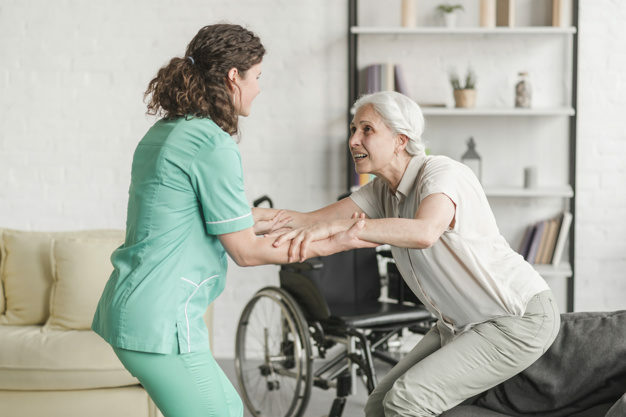 Already, “12% of nurses consider a job change to reduce their risk of injury and 12–18% nurses leave the profession due to chronic back pain,” according to a 2006 study published in the peer-reviewed journal, Orthopaedic Nursing. Here’s the good news: multi-faceted, evidence-based strategies for reducing the prevalence of MSDs in healthcare not only work, they start saving hospitals significant sums in workers’ compensation claims and employee turnover relatively quickly after implementation. In one study, the right interventions resulted in an estimated savings of $90,000 over 4 months. Unfortunately, manual lifting techniques are not evidence-based, which is why staff training on safe lifting and load transport is not enough to fix the problem. A better approach to reducing MSDs in nursing requires an investment in ergonomic equipment, which do prove effective with consistent use. Ergonomic equipment can take the form of motorized carts and towing technology for medical supplies and machines or motorized patient transport chairs and mechanical lifts for safe patient transport. When ergonomic equipment is paired with education on safe lifting and transport strategies of people and materials, and implemented alongside systems of documentation and accountability, hospitals have the potential to cut their turnover rates in half. An investment in ergonomic equipment, training, and systems of accountability is proven to save hospitals money and protect their employees. For more information on a number of types of ergonomic solutions available for the healthcare industry, connect with one our experts via the Contact page.